It started with a piece of fabric—a glimmering swatch of inspiration—and ended with this stellar nail shade. 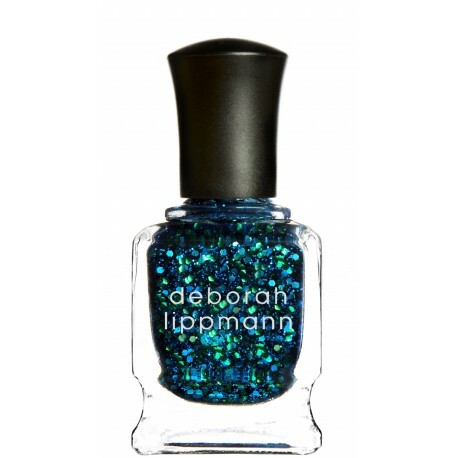 Blazing blue and metallic green glitter swirl in a base of sheer navy. It’s out of this world. Galactic, to be exact.